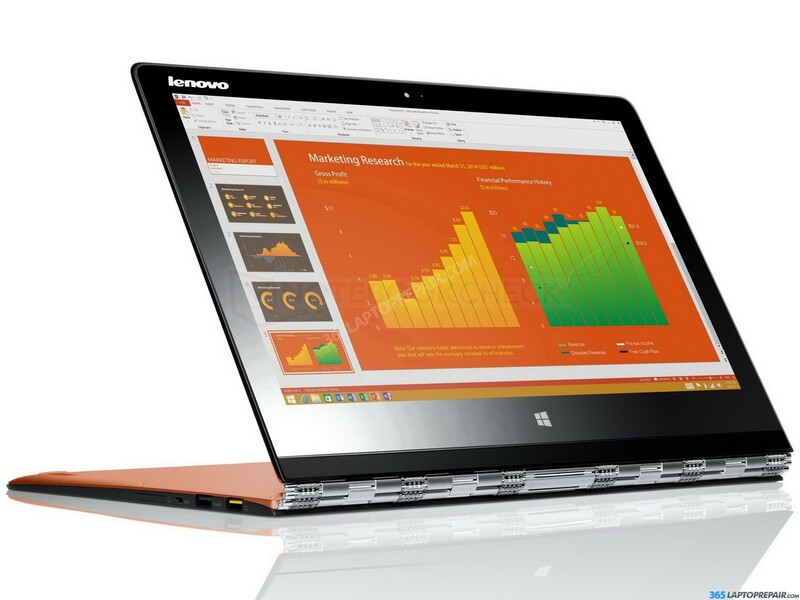 We have certified, experienced technicians ready to perform your Lenovo Yoga 3 Pro Repair. With many parts in stock, our repairs for this laptop is usually 1 to 2 business days! Ready to start the repair process? Click the “Add to cart” button below to begin! We accept credit cards through Authorize.net and PayPal. You can select from many different shipping options to and from our warehouse. Pack your laptop and ship it to us yourself, or we can send you a pre-paid shipping label and a safe ship box to ship your laptop quickly, easily and safely! Not sure how to check out? Watch our how to videos below! 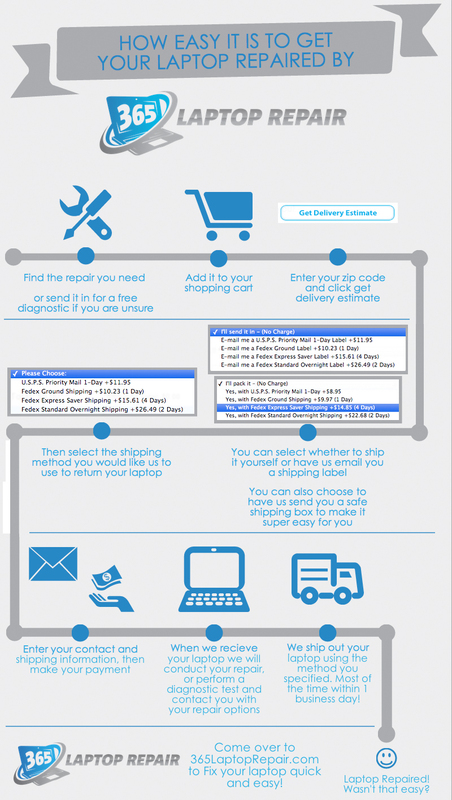 We also have an infographic that shows how easy it is to have your laptop repaired by us! Please contact us if you have any questions via our Contact Us form. Have an older Lenovo Yoga model? Feel up to a DIY Screen Repair? We sell the Replacement Screen Part Only. Video tutorials are included! Not sure what is wrong with your Yoga 3? You can send it in for a diagnostic! You can choose one of our easy shipping options and mail it in to our warehouse in Los Angeles, Ca. Once we recieve your laptop we will perform a complete diagnostic and let you now what the problem is and a quote for repair. Once you recieve our diagnostic and quote, you can choose what you want to have done before we do any more work on it. If you choose to have a repair performed on your laptop, this diagnostic is completely free! If you choose not to have a repair done there is a $49 diagnostic fee. If you have any questions about our repair process you can contact us and we will get back to you as soon as we can! Is your Yoga 3 Pro cracked or damaged? Our Lenovo Yoga 3 Pro screen repair service will get your laptop back in perfect working order! Our certified computer repair technicians use replacement screens that are Genuine, Brand New, LCD touch screens (also called a digitizer). Like the Yoga and Yoga 2, the Lenovo Yoga 3 Digitizer and LCD screen are one unit and cannot be separated or replaced separately. In order to fix a cracked screen both the LCD and touch screen need to be replaced. The part number for the Lenovo Yoga 3 Pro screen part is LTN133YL03-L01. We sell the Yoga 3 Pro screen replacement part only if you are interested in doing the screen repair yourself. We a tutorial video that will shows you how to complete this repair yourself!